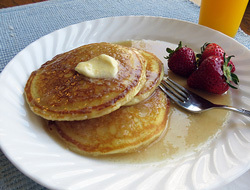 Eggnog is a traditional beverage that is popular during the holiday season. 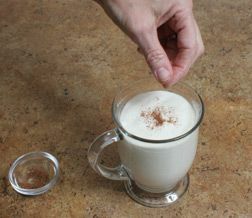 When in season, it can be purchased already made in most grocery stores but it won't compare to your own homemade eggnog. 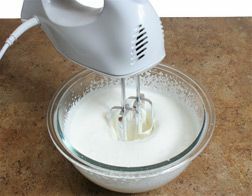 There are many recipes for eggnog but they all have the same main ingredients: eggs, sugar, milk, and cream. 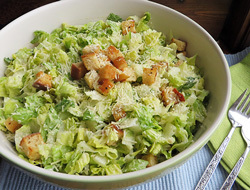 Many recipes call for alcohol also but can be made without it, if you prefer. 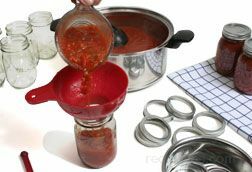 Nutmeg and/or cinnamon are often added for extra flavor. 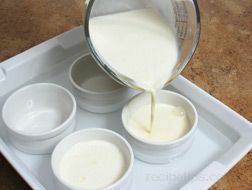 The recipe and instructions below show how to make great homemade eggnog. 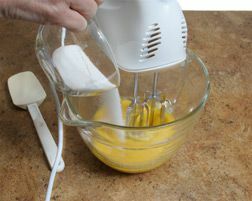 Separate the egg yolks from the whites and place the yolks in a mixing bowl. 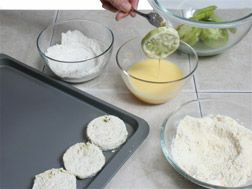 Store the egg whites in the refrigerator for later use. 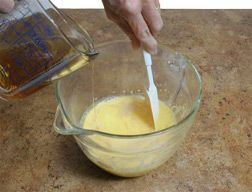 Beat the egg yolks slightly and then begin slowly adding the sugar as you beat them. 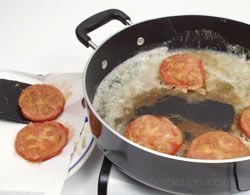 NOTE: When a recipe requires “raw” eggs as an ingredient, there is always a concern that potentially harmful bacteria may have invaded the egg which may cause illness in humans. 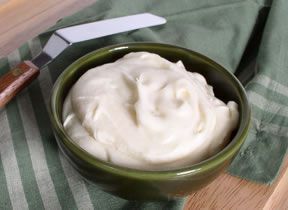 Although the probability is low (1 in 20,000 eggs), the concern does exist; therefore, if you are concerned about using raw eggs, consider an egg substitute, such as pasteurized whole eggs, egg white substitutes, or meringue powder, to reduce the potential of bacterial contamination. 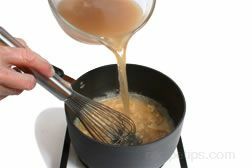 Once the eggs and sugar are beaten together, pour in the brandy and rum. 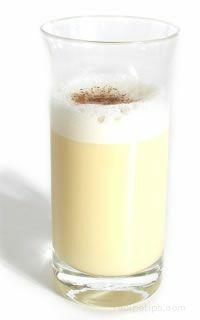 The eggnog can be made without the alcohol, if you prefer. 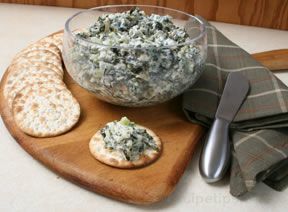 If made without the alcohol, add a little more milk to the recipe. 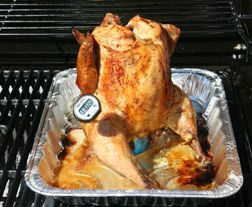 Anyone wanting alcohol in their eggnog can always add it when it is served. 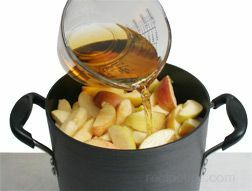 Stir until the brandy and rum are mixed in evenly. 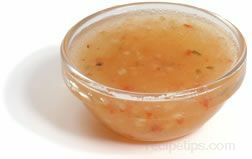 Cover this mixture and place in the refrigerator to chill for at least 4 hours. 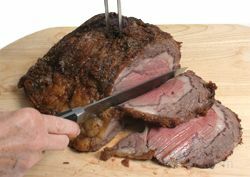 It can be stored up to 24 hours before serving. 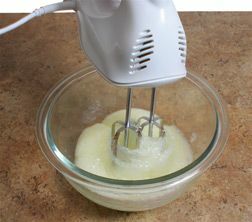 20 to 30 minutes before serving, remove the egg yolk mixture from the refrigerator and stir in the milk. 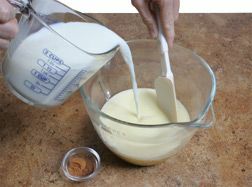 Add the nutmeg and cinnamon to the egg and milk mixture. 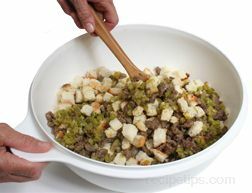 Then stir in until mixed in thoroughly. 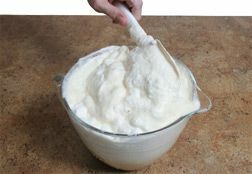 Remove the egg whites from the refrigerator and begin to beat on low until foamy. 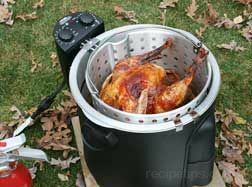 Gradually increase the speed as the whites thicken. 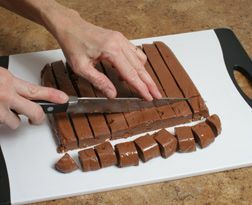 Beat just until they form stiff peaks. 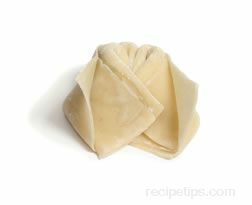 Once the whites form a stiff peak, gently fold them into the egg and milk mixture until evenly combined. 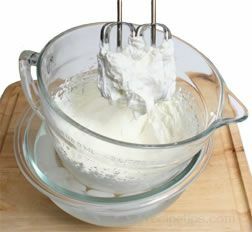 Begin whipping the heavy cream on low. 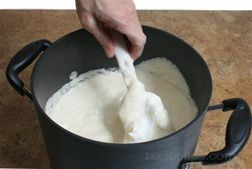 As the cream begins to thicken, increase the speed to medium. 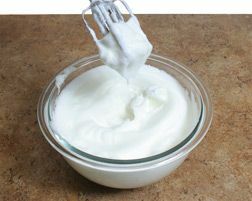 When the cream thickens to where it leaves a slight trail, increase the speed to high and beat until it forms stiff peaks. 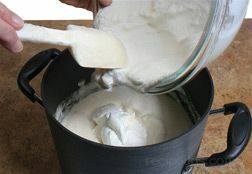 Stop beating once it starts to form stiff peaks because you do not want to over beat the cream. 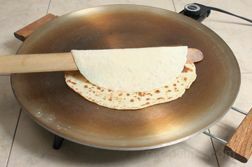 Over beating will cause it to become too stiff and make it hard to fold in. 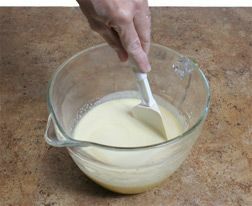 Once the cream forms a stiff peak, pour it into the eggnog mixture in a large container. 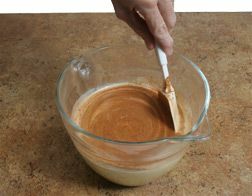 Gently fold into the mixture until it is mixed thoroughly but do not over mix because it will cause the eggnog to lose its airy consistency. 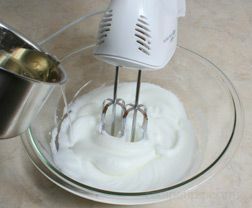 Note: If desired, the whipped cream can also just be added as a garnish on top of the eggnog rather than mixed into it. 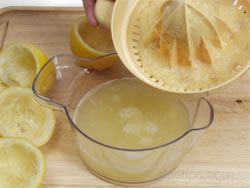 If adding as a garnish, add about 1 tbsp. 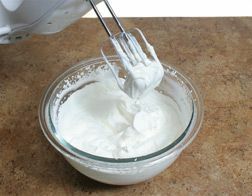 of sugar to the cream when whipping it to sweeten slightly. 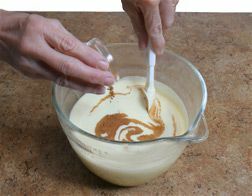 Pour the eggnog into a mug and garnish with additional nutmeg or cinnamon. 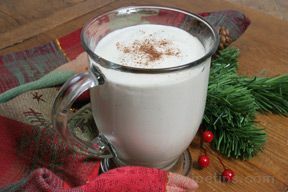 Eggnog is a delicious traditional holiday beverage that can be served at any of your holiday gatherings.